A Dutch fashion brand has created a pair of eco-friendly vegan sneakers made from pineapple. According to Mercer Amsterdam, its 'W3RD Vegan Pineapple', is the first sneaker in the luxury sector to use this specific leather-alternative which is called Piñatex®. In order to reduce foot sweating and control the temperature of the shoes, they are lined with a microfiber textile, which the company says gives the sensation of real leather creating 'thermal control for optimal comfort'. 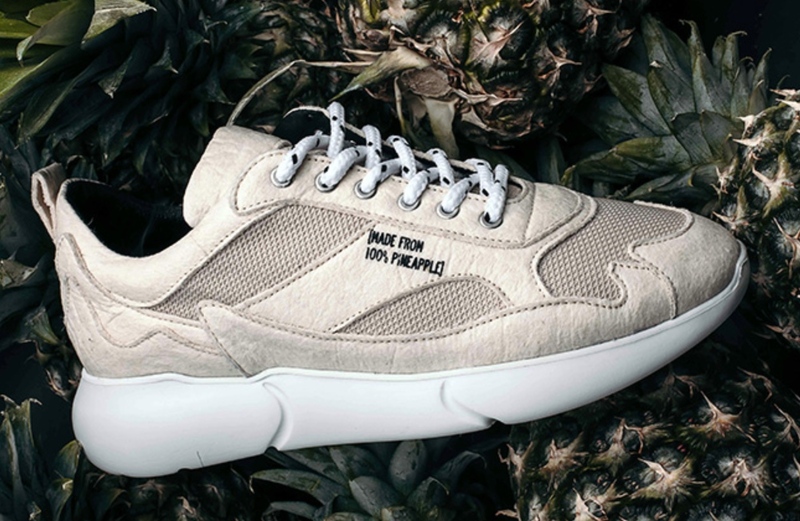 "The W3RD Vegan Pineapple is made in collaboration with Piñatex®, a leather alternative made from the leaves of the pineapple plant, a natural and sustainably-sourced, cruelty-free material," the brand says. "Piñatex® is made from the fiber from the leaves of the pineapple plant. These leaves are discarded from the pineapple harvest, so the raw material requires no additional environmental resources to produce. "The leaves are bought from farmers in the Philippines, supporting local economies and strengthening their exports. Additionally, the tanning of Piñatex® consumes low water use and low production waste, containing no harmful chemicals or animal products."